The Sustainability Office (SO) has many roles within the Trent Community. The foundation of our work is to assess resource use – electricity, natural gas, water and waste materials to identify best practices and innovative methods of reduction. Through these activities, the SO helps the Trent Community minimize our collective impact on the environment. Trent University has a green setting on approximately 1,400 acres with a river and 30kms of nature trails. We have green academic programing with degrees offered in Environmental Science, Sustainability Studies, Indigenous Environmental Studies and much more. The SO strives to ensure that our campus operations are aligned with our teaching and research. We provide a critical link for students to the practical example of our own campus performance. 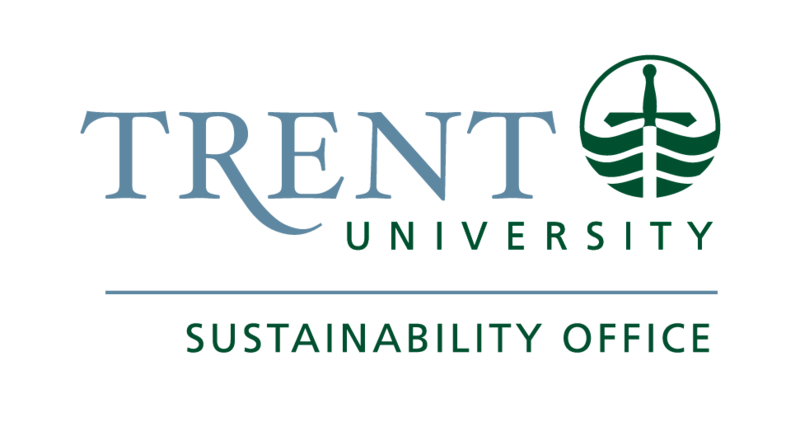 Trent University prides itself on the variety of green initiatives that take place on the campus. The Sustainability Office offers resources that allow students to study sustainability on their campus.